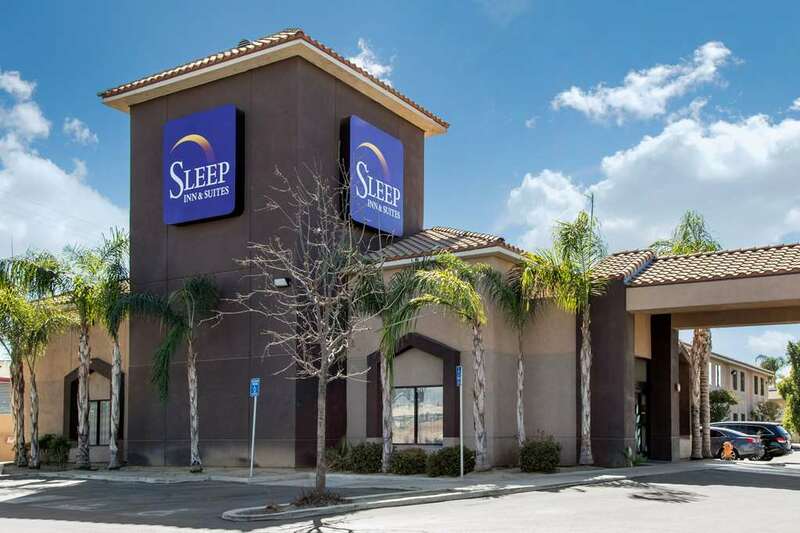 At the Sleep Inn and Suites hotel in Bakersfield, CA, you will dream better. Our pet-friendly hotel is near the Meadows Field Airport, Buck Owens Crystal Palace, Famoso Raceway, Kern County Museum, Riverlakes Ranch Golf Course and the Rabobank Arena Theater and Convention Center. Enjoy amenities like free hot breakfast, free WiFi, free coffee, free weekend newspapers, a fitness center and a business center with a copy machine. Each relaxing guest room is uplifting by design and features microwaves, refrigerators, coffee makers, hair dryers, TVs and irons and ironing boards. Also, earn rewards including free nights and gift card with our Choice Privileges Rewards program.